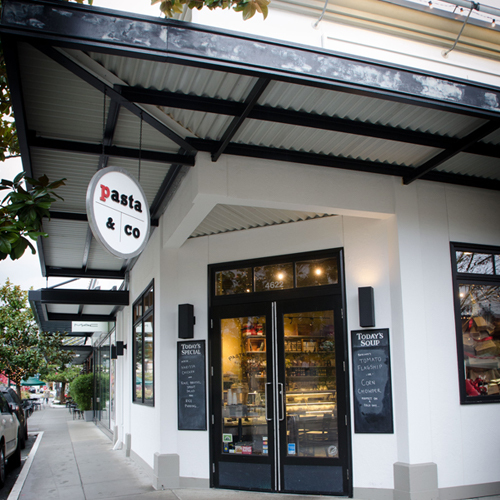 Often described as “gourmet take-out and food shops,” Pasta & Co stores are convenient neighborhood sources for ready-to-eat-or-heat foods made daily in our kitchens. For over thirty-five years, Pasta & Co has been serving up everyday meals, as well as celebratory ones. There is an entire menu of fresh foods from appetizers to soups, salads to entrees and desserts, along with a line of frozen foods ranging from ready-to-bake pizza and cookie doughs, delicious entrees like our popular lasagnes, and amazing desserts. Pasta & Co only produces and sells foods made with ingredients we trust, are proud of, and would eat ourselves. It’s just authentic and original food, full of flavor. 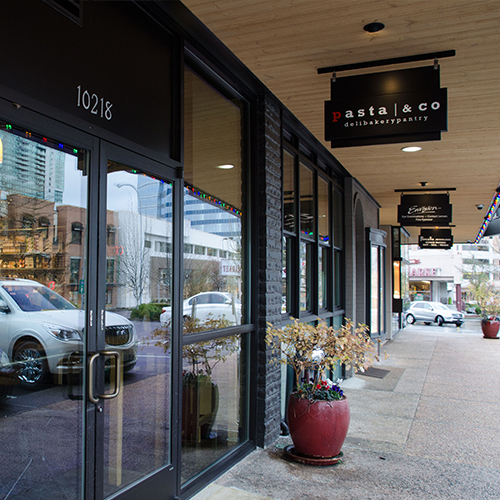 Pasta and Co is part of the Sugar Mountain family of businesses.